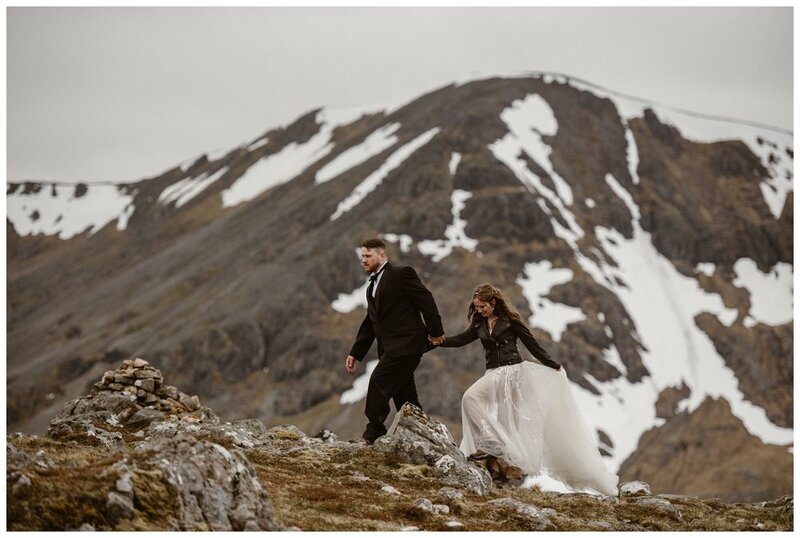 Elissa and Daniel had never been to Scotland before—but that didn’t stop this adventurous couple from traveling from New York across an entire ocean to say their vows for their destination elopement. 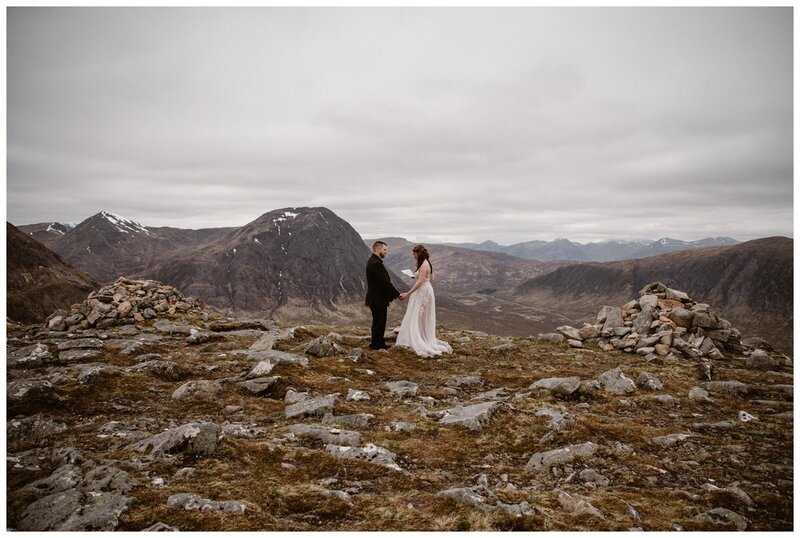 Since Scotland was a new place for them, Elissa and Daniel asked me to help them find them the perfect spot for them. 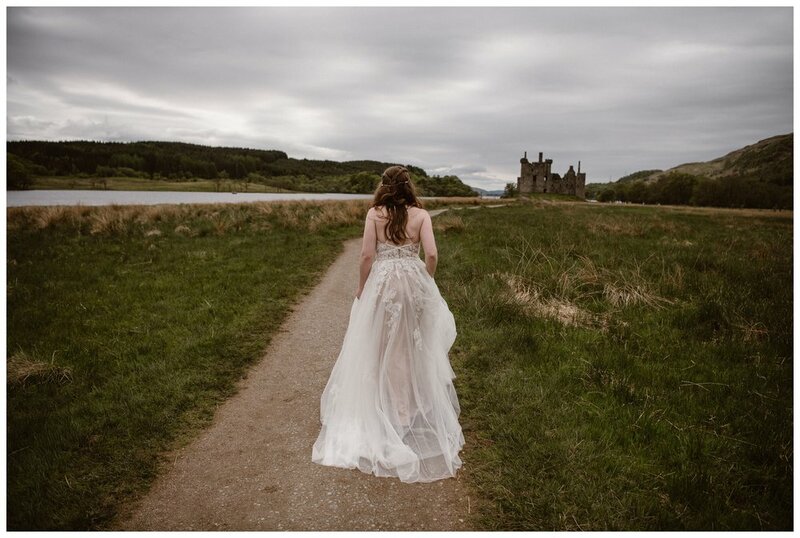 Location scouting is one of the most fun parts of being an elopement photographer, and since and my fiancé is from Scotland, and we’ve traveled there plenty, I had a ton of ideas. We love being elopement guides for our couples and helping them find that absolutely perfect location. If you decide to elope in a new spot that neither of you have ever been before, consider making your day a “mini road trip!” You don’t have to narrow it down to just one spot, it’s fun to spend time in several destinations throughout the day—Explore and have an adventure together; you just happen to be traveling in wedding clothes this time. If you love travelling & sightseeing, make your elopement something that’s natural for the two of you to do together. Elissa and Daniel decided to get ready apart from each in an old hotel. 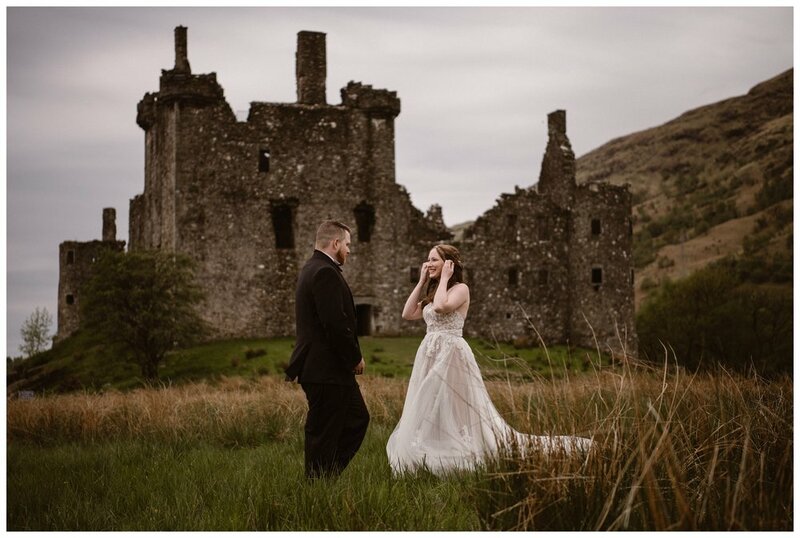 After they finished handwriting their vows to each other in the morning, we jumped in separate cars and headed toward Kilchurn Castle, a stunning castle ruin from the mid-15th century nestled in green rolling Scottish Highland hills among fields of Highland cows (or “coos” as the Scots say!) Their first look felt like it was straight out of a fairytale and the day only got more magical from there. 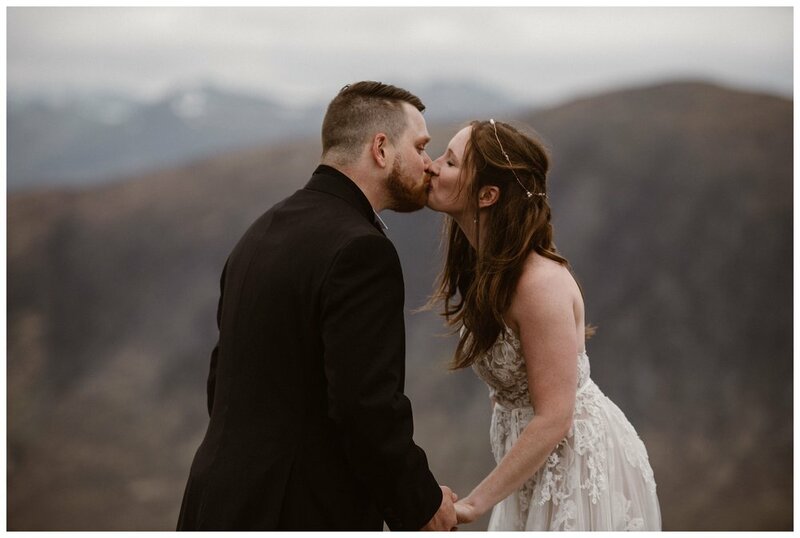 After their first look, we made our way to one of my favorite areas of Scotland, Glencoe. The landscape here is made up of gorgeous mountains with a deep valley. Waterfalls, rivers and lakes criss cross the entire area as Glencoe Mountain rises in the distance. 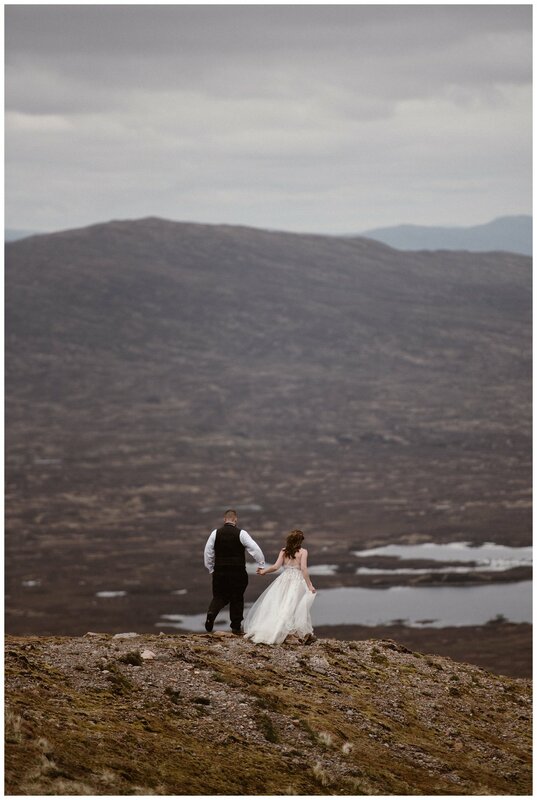 Walking on top of the mountain meant walking through marshes and bogs—and there’s a funny distinctly Scottish term my fiance’s family uses to describe walking through a Scottish bog “squelching”. “Squelching" is the sound that your boots make as they stick in the deep mud. Elissa and Daniel were total troopers, “squelching” through bogs and hopping over ponds in their wedding clothes. 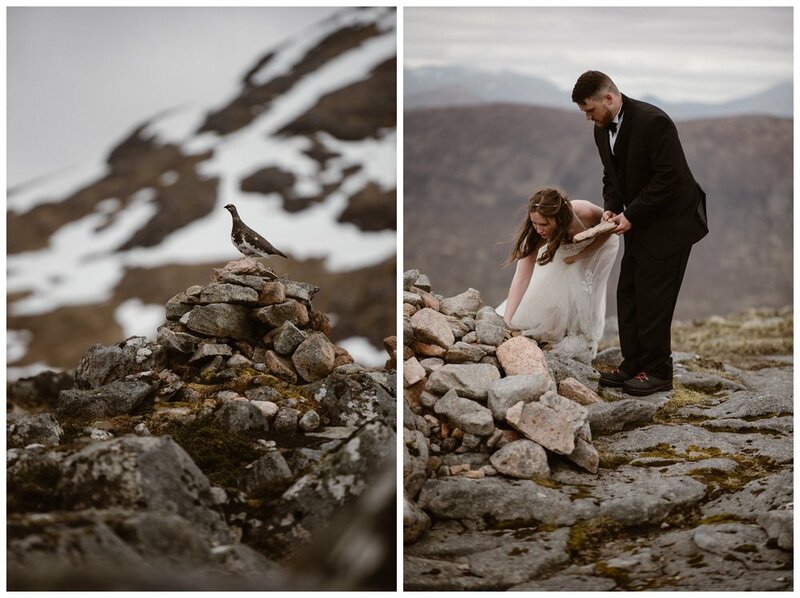 It was delightfully empty at the top of the hike, with no one there to witness Elissa and Daniel say their vows but some ptarmigans. 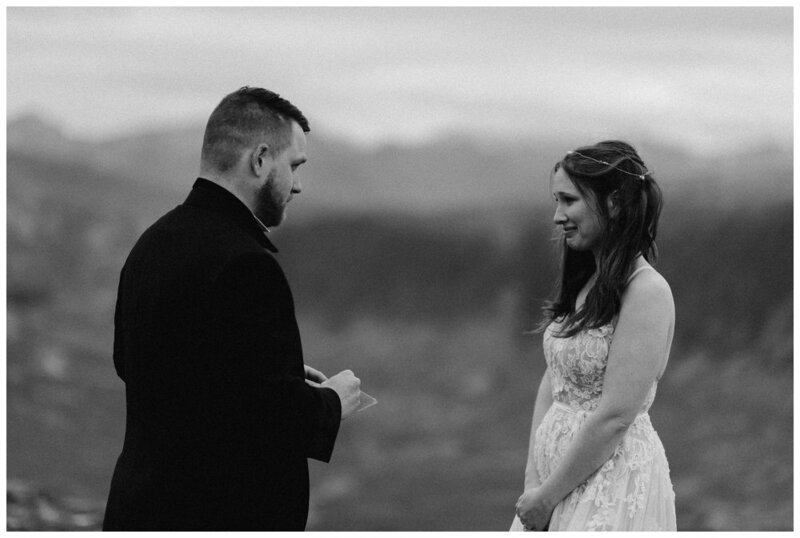 The two of them found the perfect spot right between two cairns with an incredible view to say their private vows to each other. After they had said their vows, exchanged rings, and popped some champagne, Elissa and Daniel added their own rocks to a pile of cairn stones near where they said their vows. A cairn marks the trails and it was a beautiful gesture to see them add their own mark at this spot that will be special for them the rest of their lives. It was a perfect late May day with just a little bit of fog rolling around, making everything in the landscape pop and look unmistakably “Scottish.” We hiked back down the mountain, stopping at the gorgeous rivers and waterfalls that dotted the trail. 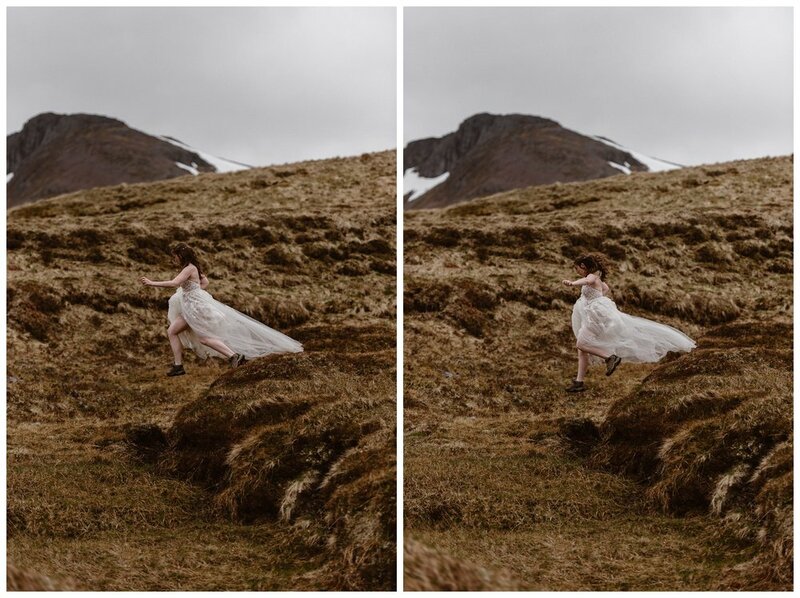 Elissa scaled a sheer rock face in her wedding dress which was pretty badass, all to get that perfect shot on her elopement day. 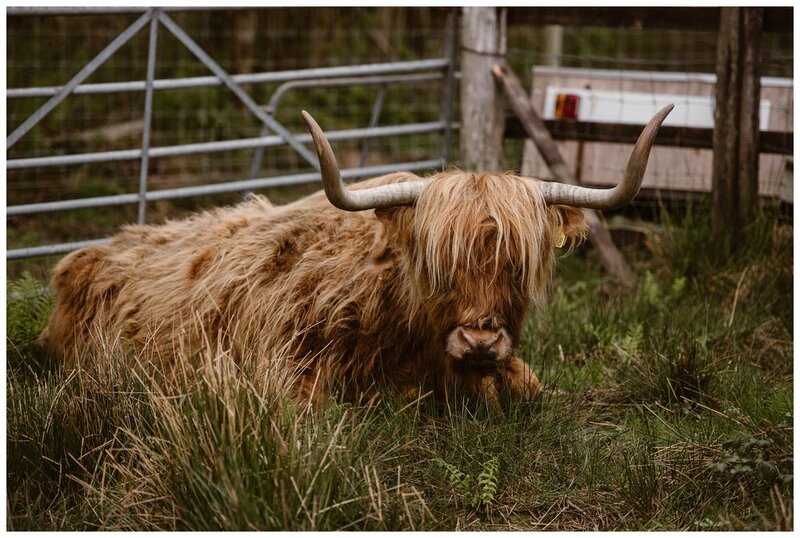 After we spent all of their elopement day exploring, Elissa, Daniel and I headed back to the hotel and the next day had a completely different experience in the Scottish Highlands.